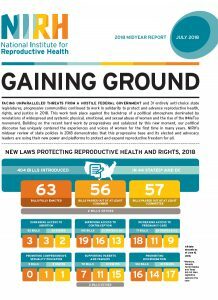 The National Institute for Reproductive Health’s 2018 Midyear Report details the progress states have ma de at the midway point in the year, after most legislative sessions have adjourned, in introducing, moving, and passing legislation that proactively advances reproductive rights, health, and justice. Throughout the first six months of 2018, we’ve seen waves of activism against the draconian Trump-Pence administration. In the first half of 2018, the progressive base and its elected and advocacy leaders used their new power and platforms to protect and expand reproductive freedom for all. 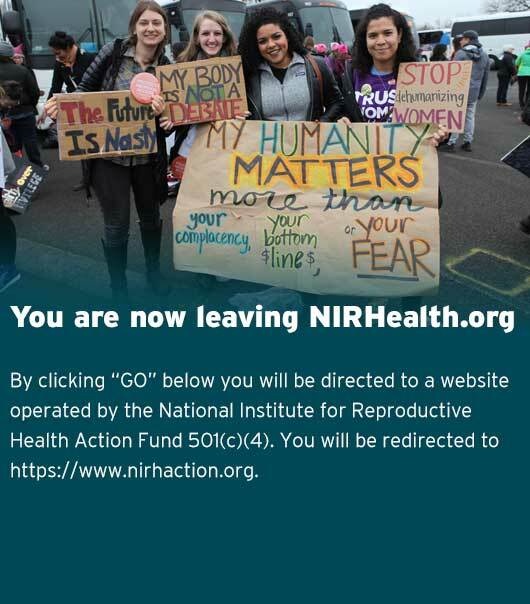 In the first half of 2018, 44 states and the District of Columbia introduced 404 pieces of proactive legislation to advance access to abortion, contraception, pregnancy care, sexuality education, support for parents and families, and to prohibit discrimination based on reproductive decisions. Overall, 63 laws were fully enacted, including three laws improving access to abortion in three states, and 19 laws to improve contraceptive access in 31 states and D.C. The Importance And Impact of State-Level Elections: Voters helped shift power in New Jersey, Virginia, and Washington,resulting in immediate changes that restored funding for family planning, expanded Medicaid (which covers much reproductive health care), and expanded insurance coverage for abortion care, respectively. Decriminalizing Abortion: With renewed threats to abortion access from Washington, D.C. and around the country, several states have worked to revise their long-standing statutes to ensure that no woman or provider will be punished for having or providing an abortion. In 2017, Delaware repealed a pre-Roe abortion law and establishing clear protections for abortion access. This year, Massachusetts, New York, Rhode Island, and West Virginia all waged campaigns to update their laws as well. Expanded Insurance Coverage: In response to the threats to health care from the Trump-Pence administration, more states have focused on protecting and expanding contraception coverage. In 2017, Oregon enacted a groundbreaking insurance coverage law, the Reproductive Health Equity Act (RHEA), which requires all health plans to cover the full range of reproductive health services, including abortion, regardless of an individual’s income, type of insurance, citizenship status, or gender identity and expression. 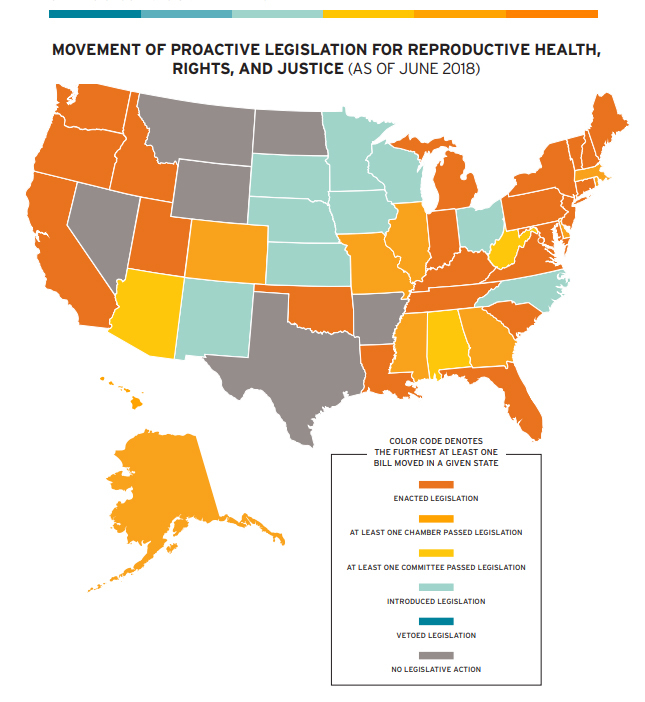 Colorado, Hawaii, New Jersey and Washington all similarly tried to ensure coverage for the full range of reproductive health care for every resident. Protecting Incarcerated Women: Bridging criminal justice reform and reproductive health, this year Connecticut, Kentucky, and Oklahoma all passed comprehensive bills to improve the lives and health of incarcerated women by banning the use of restraints during childbirth and during the postpartum period, requiring adequate nutritional standards for pregnant women, and allowing women struggling with addiction to seek treatment.